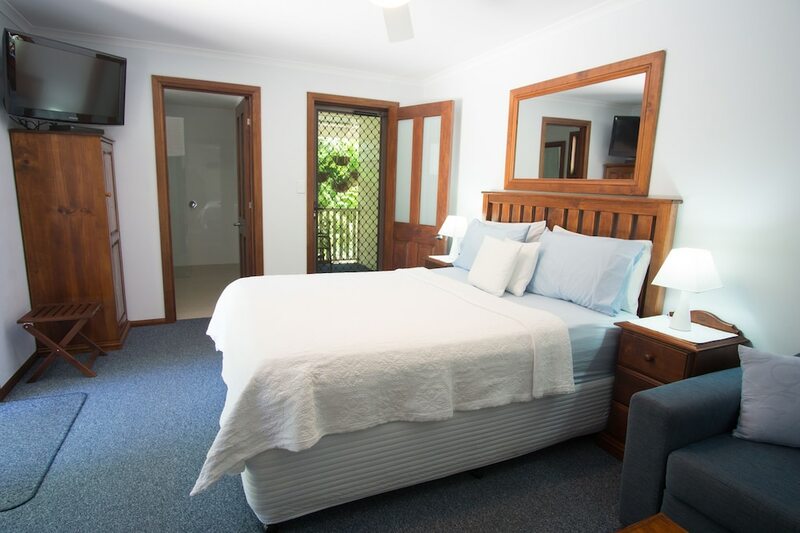 When you stay at Debbie's Place in Rainbow Beach, you'll be by the ocean, within a 15-minute drive of Rainbow Beach and Inskip Point. This 4-star apartment is 0.6 mi (1 km) from Phil Rogers Park and 0.7 mi (1.1 km) from Carlo Sand Blow. Make yourself at home in one of the 10 air-conditioned rooms featuring kitchens with refrigerators and microwaves. Flat-screen televisions and DVD players are provided for your entertainment, while complimentary wireless Internet access keeps you connected.